At the SteadyTrade podcast, hosts Tim and Stephen like to put an accent on the “steady” part of their approach to trading. That being said, sometimes they like to feature exceptional traders to inspire you on your journey. 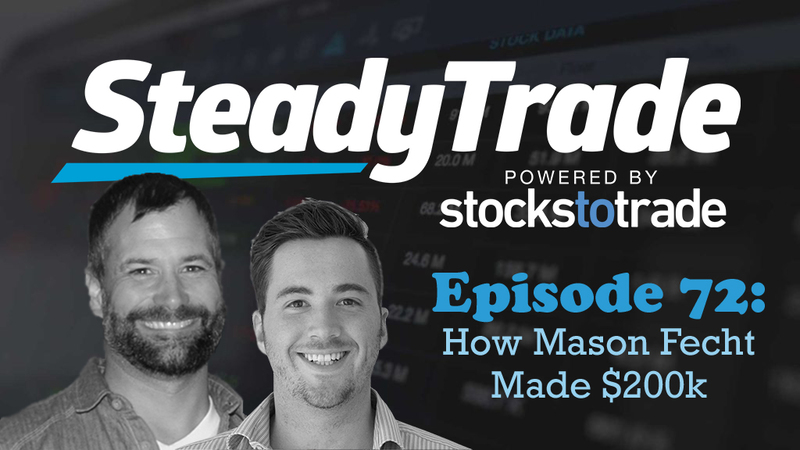 In the episode, you’ll learn more about Mason’s approach, what works, and how you can use his methods to your own trading advantage. What were you doing when you were 16? Well, while Mason was still in high school, he began to take an interest in the stock market, meeting with a financial planner and beginning to learn about market mechanics. He didn’t take action until his freshman year in college, when he chose a stock that he liked and got a big return. This is what kicked off his trading career in earnest. First, he dabbled in options trading because he knew it was a potentially great way to grow an account exponentially. He turned $10K to $70K in a short period of time but eventually ended up losing the majority of his account. It was time to learn the rules, he figured. He found Tim Sykes and became hooked on the videos. He joined the Trading Challenge in short order, seeing it as the fastest way to attain his financial goals. He went in full throttle, studying for an incredible 12 hours a day to gain trading expertise. And yes, he watched Trader Checklist in its entirety, all 11 glorious hours of it. In this episode, you’ll learn how and why things started to click, and how Mason overcame his issues with risk management to find trading success. A breakout hitting new highs over daily resistance levels with a substantial volume in the past. Mason explains how things really can be that simple if you don’t let external cues overwhelm you. He also explains his KISS (keep it simple, stupid) mentality and how to avoid the common obstacles that get in your way as a trader. How can you channel your inner Mason and get ahead as a trader? Mason adheres to a concept he learned from the Dalai Lama: Learn the material, understand and comprehend, and make it instinctual. First, set up a strong foundation. Mason has a successful trading system. But before he established that, he set up a successful learning system. You need to understand the patterns first, and you gain this understanding through study and practice. Mason suggests starting with paper trading and getting to a point where you’re good at virtual trading before live trading. He explains how to get started trading, and the best way to build up incrementally. When it becomes instinctual, that’s when you can trade successfully! Cut losses quickly. You’ll also learn why the entry is the most important part of the trade! Take a step back. Look at the big picture. Don’t count your losses or profits until you’ve taken everything into account. Master the market psychology. Learn why understanding what all players are thinking is the secret to mastery in the market. Do you have a question about trading for Tim and Stephen? Visit the “submit your audio” portion of the website to ask us anything. Very good episode; Mason’s approach to KISS and the amount of time invested to learn is underestimated. Stephen- Do you think you could keep your input to trading-related, like Tim does? It’s entertaining to hear you blabber about strip clubs, standard of girls you want, and smoking bowls, but its by far, not relative to trading. Though I’ve actually heard some valid input from you, the off-topic comments really make you out to be some burn-out that at times has gotten lucky making trades. 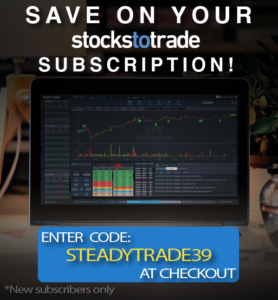 If this is a marketing tool of any kind for stockstotrade, may I recommend a bit more professional approach by you. That was a fantastic episode!! Very impressed with this young man, who, by the way, reminds me alot of one of my favorite actors, Mathew McConaughey. I wrote down a whole page of notes from this interview and will be looking up his blog and other venues to learn more from him. Thank you for getting him on the podcast! Thank you Mason for all your good advise and tips. I my self am going back and revisit some of my study material as well as the ones you recommended. Thank you all for the content — always something to learn and add to the arsenal for success!